Sulzer Pumps has a pump service centre in Khimki, Moscow. Israel’s IDE Technologies has launched IDE PROGREEN, a green, eco-friendly reverse osmosis (RO) system for water desalination. The Flowserve Corp board of directors has authorised a new program to repurchase up to US$300 million of its outstanding common stock. Colfax Corp has made a recommended offer to acquire Charter International plc in a US$2.4 billion cash and stock deal. Russian pump manufacturer HMS Group has secured a 3-year RUB2.25 billion credit line from the West Siberian branch of Sberbank. Norwegian oil services company Aker Solutions has set up an office in Gothenburg, Sweden to grow its share of the Swedish subsea oil and gas market. 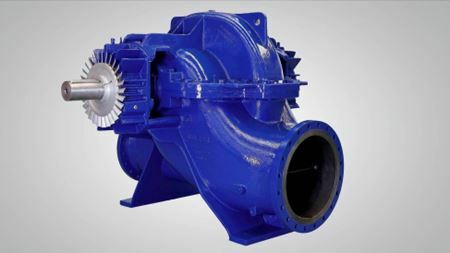 Hydra-Cell seal-less positive displacement pumps, available from Michael Smith Engineers can be used to pump resinous glue, the company says. Oilfield pumping unit specialist Lufkin Industries is buying Quinn’s Oilfield Supply for approximately US$303 million in cash. Hyflux has ordered 68 CALDER Dual Work Exchange Energy Recovery (DWEER) units from Flowserve Corp for its Tuaspring desalination plant in Singapore.